It’s sort of New Age music mixed with techno, like a 2019 Tangerine Dream. Trying out ALAC off the iPad but most of the music I own I’ve bought as or ripped to FLAC. 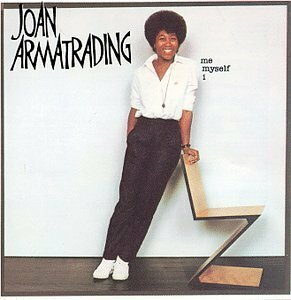 Joan Armatrading, Me, Myself, I (A&M, 1980). An AAD CD. Sounds great. That was a great era for recorded sound. The production on this album also sounds less dated than some of the later 80s albums. Tracy Chapman and album with the same name. Live blues doesn't get better than this. 1981, Muddy, The Rolling Stones, and other guests do a 2 hour set of Muddy's classics and more. GREAT FUN. Allan Taylor, album Color of the moon. Very nice voice.